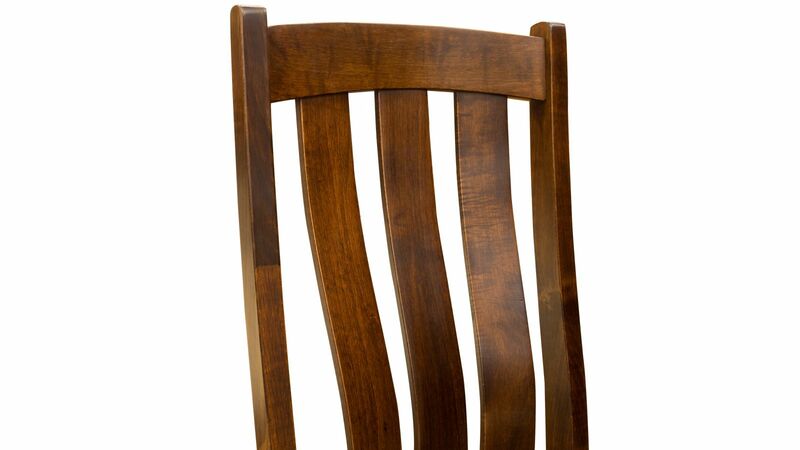 At first glance, you might see just a chair. Look closer, though, and you'll take in the rich luster of the catalyzed finish, the beauty of the maple, and a finely crafted back. Let your hands run over the seat and feel the thickness of the hard, sturdy wood. 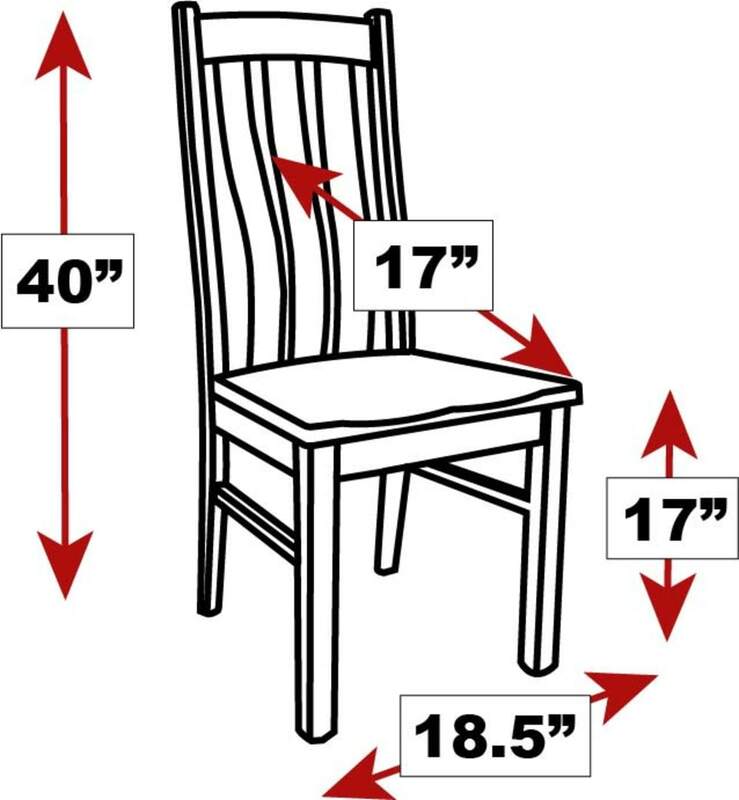 Turn the chair over and see the same thick maple used to support the base, making this chair dependable for generations. As you stand back and take in every detail, you realize that a high-quality piece like this can only come from a master craftsman. 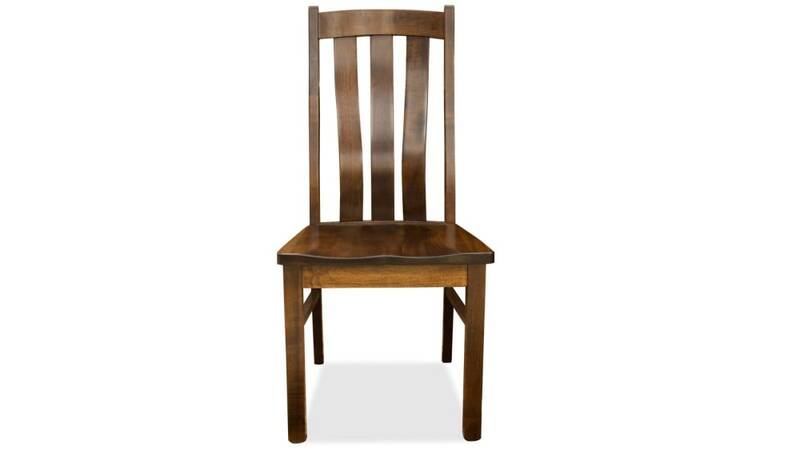 This chair was made to meet your requirements for both fashion and function. The sturdy construction will support anyone who sits on it, allowing people to sit for hours without feeling uncomfortable. Family dinners will become more memorable than ever, and you'll never tire of hearing guests rave about your stylish and comforting new dining room. Proudly made in America, using techniques passed down from father to son. 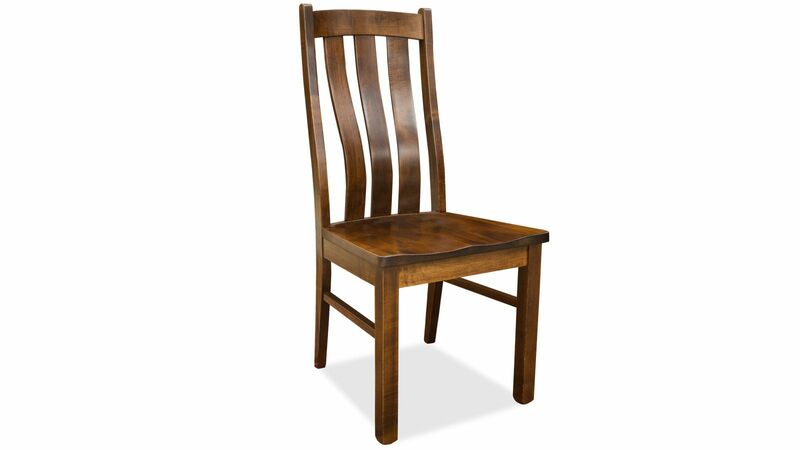 This chair boasts solid North American maple wood construction that will last for decades. Provides excellent lumbar support to help ease the load you carry on your shoulders and make family dinners even better. 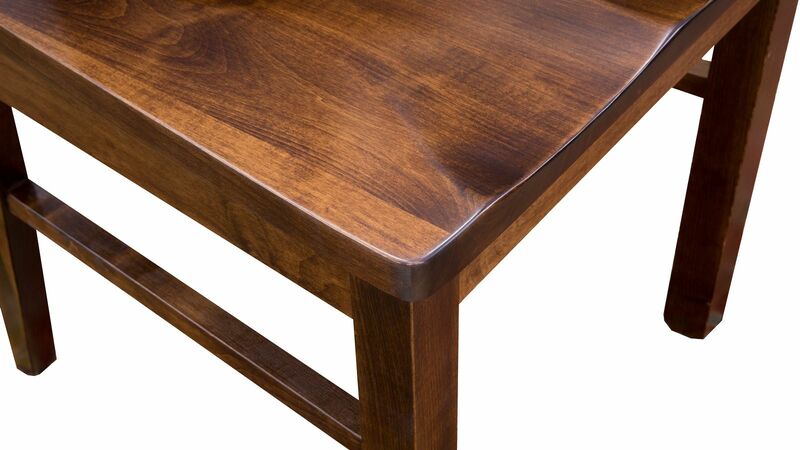 Buying hand-built quality means your furniture investment will last a lifetime, which is great news for your wallet! 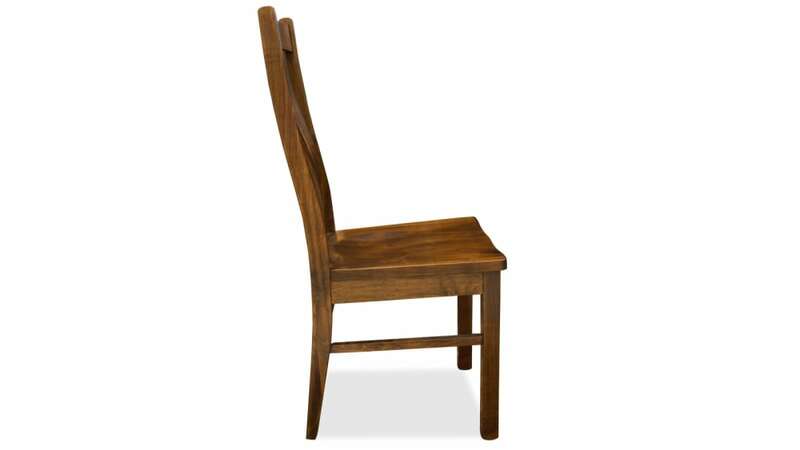 With classic style, this versatile chair will look great with almost any table. Graceful curves and upright blocked legs will provide fine seating in any room. A catalyzed hand-applied finish offers protection against water damage and simple nicks. Festive occasions feel even more special in the right environment. The rich dark finish and elegance lines featured in this stunning chair can create a more formal appearance for your space, perfect for holiday celebrations. 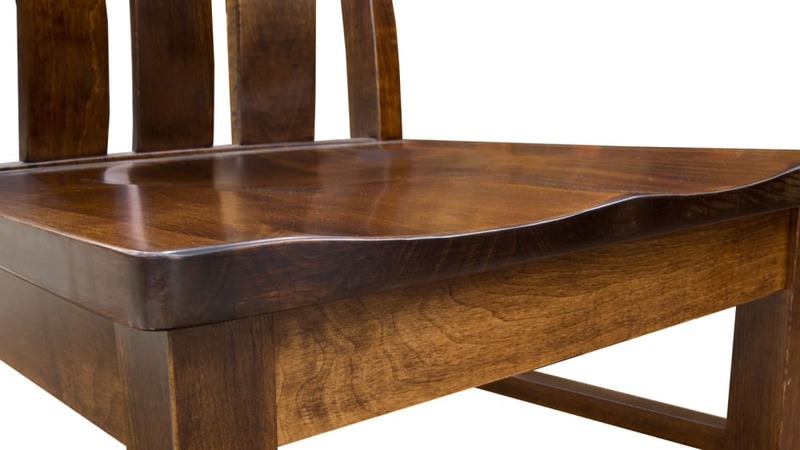 Every meal can feel like a special occasion with the right furniture. 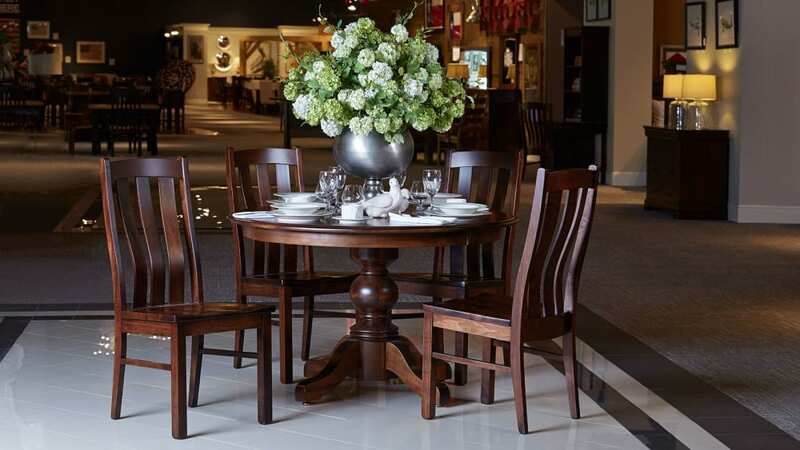 Take advantage of Gallery Furniture's same-day delivery to bring incredible style and comfort into your home TODAY.